A growing number of Americans are making the switch to mobile-only phone service and leaving the use of landlines behind. It can be a difficult decision, especially if you have had the same landline number for 10, 20, 30 years or more, but there are options to resolve this issue while saving you some money. 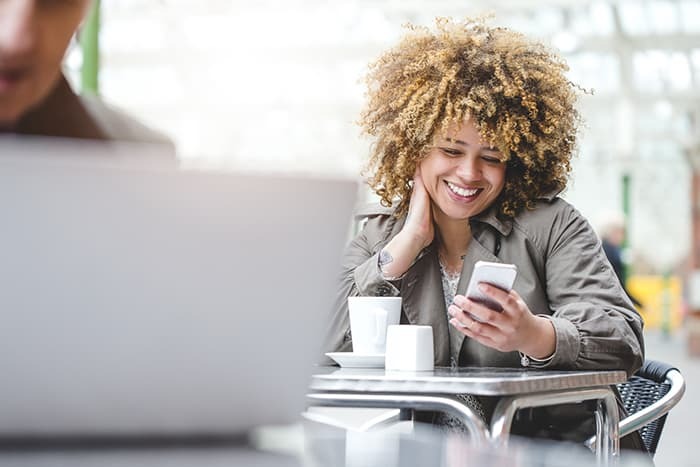 If you have considered making the switch to mobile-only phone service, you are in good company as it is estimated that two in every five American households has already made the switch to mobile-only phone service. With that in mind, here are some things to consider when contemplating the “keep landline phone number without service” dilemma. When you transfer from a landline to a mobile phone, the transfer can be simple and stress-free. You can almost completely and effortlessly move your calls from your old landline phone number to your mobile phone number without any of your contacts even knowing they are calling a different phone. The way you can do this is through the use of a service called number parking. Number parking solves the “keep landline phone number without service” issue. Any outstanding contracts: if your current landline phone service is on a contract, you have to pay additional fees for canceling the contract early or wait out the time until your contract expires before making the switch. Bundled deals or services: if you are currently bundling several services together with your landline phone number service, you may have to look at how the cancelation of your current landline phone number service could affect that bundled deal. Services that could be bundled with your landline phone number service currently include television, home internet, or home security services. · Have a plan in place before canceling the service: you want to make sure that you have figured out what will happen to any incoming calls on the old phone number and appropriately have a transfer in place before canceling your landline phone service. Particularly for those who have had their landline phone number for a very long time, there are likely many family members, friends, businesses, and other organizations that have your phone number. You don’t want to miss any important calls by canceling your landline phone number service before you have a plan in place for the redirection of those calls that may continue to come into your landline phone number. The process of transferring. There may be several steps that need to take place, depending on the timeline of when you want to cancel your service. If you know the length of time that you will need the phone number parked or if it will be indefinitely; if you want to have a recording that tells callers they are being redirected or just have calls automatically forwarded to a new number, these considerations should be worked out ahead of time. It is important to have all of this decided and in place prior to canceling the original landline phone service. When considering the “keep landline phone number without service” issue, there are many things to consider and be mindful of in making sure the transfer goes as smoothly as possible. Global Call Forwarding has been offering global telecommunication solutions for over two decades and GCF’s communication specialists are able to easily guide you in transferring your calls from your old landline phone number service to a new number of your choosing. Relying on experts is the way to ensure a smooth transition. Number parking can be used for those who are planning to move their home or business, someone who is planning to travel for an extended amount of time, someone who simply wants to save money by consolidating the number of phone services they are paying for on a monthly basis, someone who is looking to renovate and will not be using the landline for some time, and other reasons. Number parking is a convenient and low-cost way to accomplish the “keep landline phone number without service” goal. Whether you are one of many who wish to transition from landline phone number service use to exclusively mobile phone service entirely and on a permanent basis or wish to simply put a temporary pause on the use of your landline phone number service, Global Call Forwarding’s number parking service offers a way to do it with convenience. No equipment is needed to do this and you will save money on monthly phone service charges immediately. Improved technology has made it easy for you to consolidate and save money, so why not act on this opportunity today by signing up for number parking?